St Andrews Harbour has in its day known commerce with all parts of Europe. In medieval times the town traded widely, principally with the Low Countries. At its peak, the harbour may have berthed as many as 300 ships. But it fell into disuse with the opening of the railway. It dates from the 13th century and retains much of its medieval form. The main pier, extending out into the North Sea, was rebuilt with stone taken from the Cathedral in 1656. It is along this pier the University students traditionally walk after Sunday service from St Salvator's Chapel in North Street. 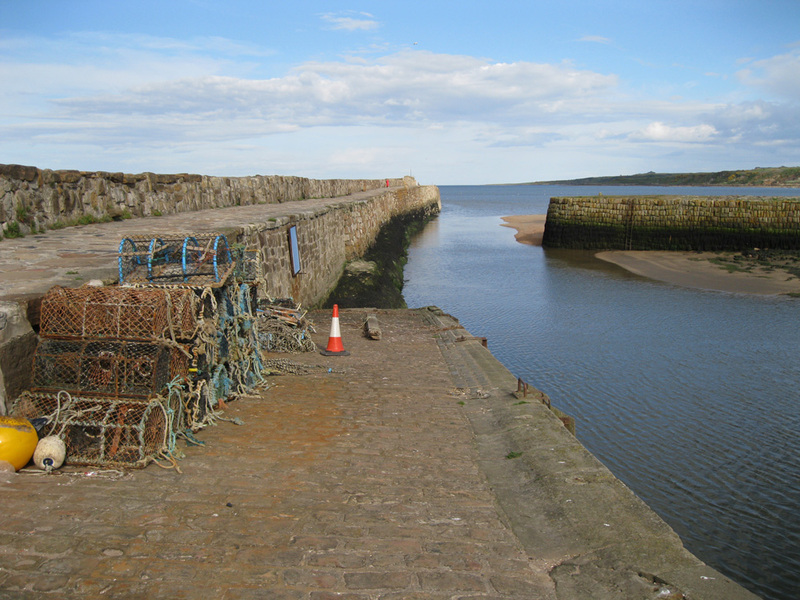 With the development of fishing, agriculture and tourism in the 19th century the town's harbour once more came alive with herring-boats, boats exporting coal and iron as well as grain and potatoes from the farms of Fife, and ferries linking St Andrews with ports such as Dundee and Leith. Pleasure craft and small fishing vessels share the harbour today. A detailed history of the development of the harbour can be found here.